Founded 1985, Cal’s Tire & Auto Service is a locally-owned business serving Tamaqua and surrounding communities. We provide great tires at a great price, regular maintenance to keep your car dependable, and auto repair services to keep your vehicle in top condition. If it's time to change tires, you should know we carry the best in name brand tires at the best prices around. 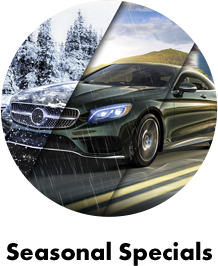 Choose from trusted tire brands like MICHELIN®, BFGoodrich®, Uniroyal®, and many more! Visit us at 87 Mahanoy Ave. Route 54 in Tamaqua, PA, where we've been serving customers from the surrounding areas of Mahanoy City for and counting.